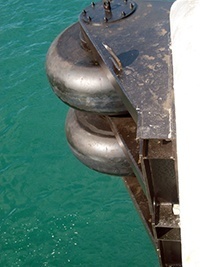 These fenders are for protection on corners or similar on docks, including for guiding ships in case of need in canals or harbours. They have low energy absorption but their special feature is that their elastomer can turn on its axis in contact with moving ships, helping them move away from the protected line. The elastomer in ECN fenders is obtained by preparing and vulcanising rubber in a mould while ECR type fenders have special tyres. 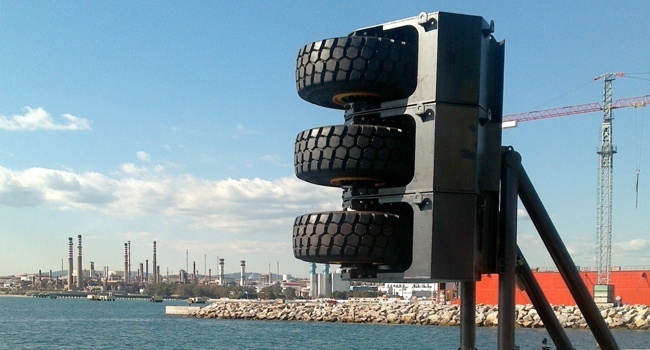 Fender systems can be designed with one or more elastomers according to the requirements and the areas to be protected.